Definition at line 614 of file ketypes.h. Definition at line 615 of file ketypes.h. 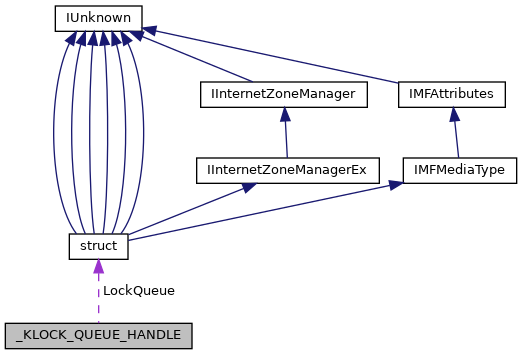 Referenced by KeAcquireInStackQueuedSpinLock(), KeAcquireInStackQueuedSpinLockAtDpcLevel(), KeAcquireInStackQueuedSpinLockRaiseToSynch(), KeReleaseInStackQueuedSpinLock(), and KeReleaseInStackQueuedSpinLockFromDpcLevel(). Definition at line 616 of file ketypes.h. Referenced by ExAcquireResourceExclusiveLite(), ExAcquireResourceSharedLite(), ExReleaseResourceForThreadLite(), KeAcquireInStackQueuedSpinLock(), KeAcquireInStackQueuedSpinLockRaiseToSynch(), KeAlertResumeThread(), KeAlertThread(), KeDetachProcess(), KeForceResumeThread(), KeFreezeAllThreads(), KeInsertQueueApc(), KeReleaseInStackQueuedSpinLock(), KeResumeThread(), KeSetAffinityProcess(), KeSetPriorityAndQuantumProcess(), KeSuspendThread(), KeThawAllThreads(), KeUnstackDetachProcess(), KeWaitForGate(), KiDeliverApc(), PortAcquireSpinLock(), and PortReleaseSpinLock().